One of the most powerful and best selling root stimulators on the market. BioRhizotonic stimulates the development of root hairs and root tips, whilst also increasing the plant's resistance to disease. 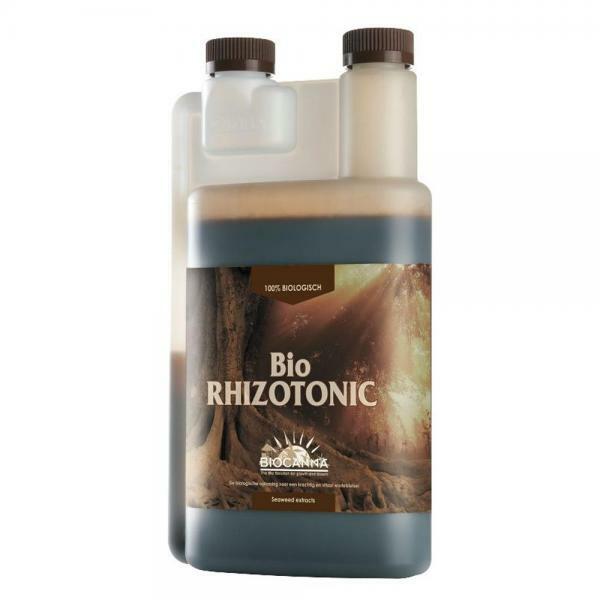 BioRhizotonic is also an ideal remedy for stressed plants such as cuttings during potting on. BIOCANNA BioRhizotonic also restores and strengthens plants that are unhealthy or look generally poorly. The most powerful root stimulator for organic growing! BIO RHIZOTONIC is a 100% natural, organically certified root stimulator (OMRI). It contains a range of vitamins, including vitamins B1 and B2, but also stimulates the development of root (hairs), root tips and increases the plant's resistance. BIO RHIZOTONIC has a noticeably vitalizing effect on plants. Thanks to BIO RHIZOTONIC j the plants extend their roots throughout the subsoil more quickly. This is why BIO RHIZOTONIC j is, among other things, an ideal remedy for stressed plants such as cuttings during potting on. BIO RHIZOTONIC also restores and strengthens plants that are unhealthy or look poorly.